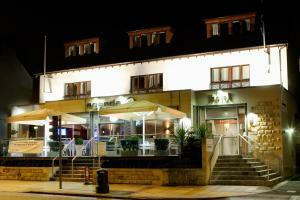 Choose from 212 hotels and guest houses in Lothians. Shown below a just a selection of the hotels available. To search within an area please use the menu on the right. This 4-star hotel has an indoor swimming pool and 24-hour room service, 200 metres from Edinburgh Park Rail Station, a 12-minute train ride from the centre of Edinburgh. Just off the M8 motorway, 10 minutes' drive from Edinburgh Airport, the Novotel Edinburgh Park is in one of the leading business parks of Scotland. Edinburgh Park Rail Station has 4 trains every hour to Edinburgh Waverley Station. 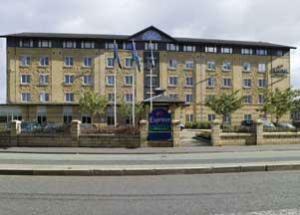 Novotel Edinburgh Park has a heated pool, full gym and a steam room. Elements restaurant and Elements bar offer stylish spaces with plenty of natural light. Up to 2 children (under 16 years) can stay free (with breakfast) when sharing a room with adults. This includes access to video games, baby equipment and a healthy children's menu. Families also get late check-out on Sundays (until 17:00). Ten Hill Place combines a traditional Georgian terrace with a stylish new development. Enjoy modern, air-conditioned rooms and a caf? bar with varied menus and a drinks service until 03:00. Very close to the Festival Theatre, Ten Hill Place Hotel is also within easy walking distance of the Royal Mile, the Pleasance and Grassmarket. Tasty lunch and dinner menus are also available as room service from 12:00 until 21:30. Breakfast is available until 10:00 (10:30 at weekends). Ten Hill Place cares about the environment, and has a Gold Award for Green Tourism from VisitScotland. Ten Hill Place Hotel opened in late 2006 and is owned by the Royal College of Surgeons of Edinburgh. All profits are donated to surgical advancement. 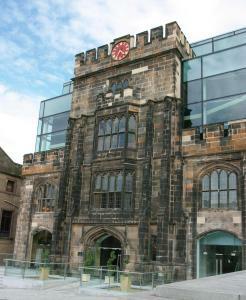 The hotel is next to the Surgeon's Hall and guests can arrange to view the colleges museums. This hotel is a popular destination for short and weekend breaks, romantic stays, Christmas holidays and New Year festivities. 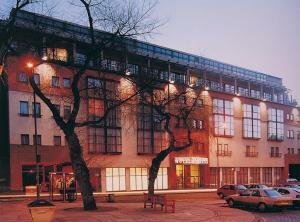 It is contained within a historic Georgian building and is ideally located for business or leisure. The hotel's en suite bedrooms deliver the perfect level of comfort for relaxing after a long day of meetings or sightseeing. Offering a unique style and affordable rates, The Richmond is the ideal hotel for your next trip or vacation. With its courteous service and great value, you'll know you found the perfect hotel when you make your reservations with The Richmond. Enjoy amenities such as free high-speed internet access. Light snacks and refreshments are available throughout the day and into the night. Offering a unique style and affordable rates, The Richmond is the ideal hotel for your next holiday. In the heart of Livingston, Scotland's fastest-growing town, this major leisure development includes free parking, a great Italian restaurant, a sports bar, a nightclub and a hotel. In West Lothian, situated between Edinburgh and Glasgow, Da Vinci's has a convenient location with great transport links. Livingston North Railway Station is just a few hundred metres away and the M8 motorway is also within easy reach. Free private parking is available for guests on site. Da Vinci's is Livingston's longest-serving Italian Restaurant, with a reputation for serving excellent. The extensive menu includes pasta, pizza, fresh meat, poultry and seafood dishes and there is a special menu for children. Showing all of the major sporting events Brooklyn is the development's newly refurbished sports bar. Brooklyn has three 42-inch state-of-the-art plasma flat-screen TVs, as well as individual booths with 17-inch LCD flat-screen TVs. All of Da Vinci's en suite rooms have TVs and telephones. Originally built in the 1890s, this charming Victorian house is centrally located within a mile and a half (ca 2.4 km) of Edinburgh's major attractions, including the Castle and the Royal Mile. Originally a sea merchants' house, the Edinburgh Thistle Guest House now provides 8 recently refurbished rooms, available as single, double, twin and family. Start each morning of your stay with a delicious continental breakfast before heading out to discover all that Edinburgh has to offer. Overlooking Leith Links, originally a golf course in the 15th century, the house is also close to the Royal Museum of Scotland and The Palace of Holyrood House. Furthermore, the Royal Yacht Britannia is berthed at Leith, which is only a 10 minute walk away, along with the finest fish restaurants and wine bars. Ideally located in Edinburgh city centre, the Apex City Hotel is in the heart of Grassmarket with its lively shops, bars and restaurants, just 5 minutes' drive from Waverley Train Station. 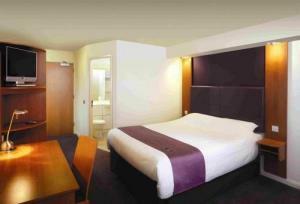 All rooms are stylish and contemporary with a widescreen TV, luxury toiletries and a power shower. There is also free Wi-Fi internet access and 24-hour room service. This contemporary 4-star deluxe hotel boasts an AA rosette awarded restaurant; the Agua Restaurant and Bar is a stylish seafood restaurant complete with chic Crustacea bar. Guests have access to a pool and gym at the Apex International, only a short walk away. This features Yu Time, Japanese-inspired leisure facilities, with Technogym and O-zone pool. The Apex City Hotel is centrally located in Edinburgh's old town, just minutes from The Royal Mile, Edinburgh Castle, the National Galleries and Princes Street. Located on the city centre bus and airport shuttle routes, the Agenda Hotel offers ample free parking and is ideally located 5 km from both the airport and city centre. Sample an excellent menu, fresh summer barbecues and fantastic bedrooms. With a cafe bar serving coffees, snacks and bar meals, the hotel also offers a restaurant with an extensive selection of meals made with fresh local ingredients. Versatile function rooms are available for celebrations, corporate meetings or private banqueting. All rooms include en suite bathrooms and offer DVD players and free Wi-Fi internet access. The Robertson is located in a quiet cul-de-sac minutes away from the city centre and a short walk from Edinburgh Castle, the Royal Mile, Holyrood Palace, and Princes Street. At Robertson Guest House you will receive a warm welcome and can enjoy a quiet stay in the Victorian terraced villa. All comfortable bedrooms have a colour TV, internet access and tea and coffee making facilities. Travel in style and stay in this luxurious 4-star hotel in the heart of Edinburgh city centre, just one minute's walk from Princes Street. The prestigious Roxburghe Hotel is one of the oldest hotels in Edinburgh and is located in the heart of the Georgian new town, overlooking the historic Charlotte Square, home to Scotland's First Minister. This premier 4-star hotel completed a ?7.5 million refurbishment in 2008, including its meeting spaces, public areas and all bedrooms, many of which offer views of Edinburgh Castle. The hotel boasts an unrivalled location, between George Street, the stylish home of the city's top bars, restaurants and boutique shops, and Rose Street, with its more traditional pubs and eateries. Conveniently situated next to Edinburgh Airport and offering its own shuttle service, the hotel is just a short drive from Edinburgh's cosmopolitan city centre and the majestic Edinburgh Castle. This convenient hotel offers a selection of rooms including family rooms, along with its bar, brasserie and conference facilities. Each bedroom is en suite and equipped with standard facilities including a direct dial telephone, modem links, colour TV with satellite channels and a writing desk with ample space for working. For your convenience all rooms are strictly non-smoking, while wheelchair access rooms are available on the ground floor. The hotel's bar and brasserie are open all day long to provide you with food and drink. Light snacks are available at all times and are served in the lounge. The excellent location of this convenient hotel makes it a great option when travelling through Edinburgh Airport. Less than 650 metres from Princes Street, Edinburgh Haymarket Railway Station and Edinburgh International Conference Centre (EICC), these stylish and modern luxury apartments boast free Wi-Fi. Situated in Rothesay Place, the Dreamhouse Serviced Apartments Rothesay have a quiet, peaceful location in a prestigious residential area, within easy walking distance of the city's main attractions. Housed in a traditional Edinburgh town house, each modern apartment has a spacious lounge, a hall, a separate fully equipped kitchen and one or two double bedrooms (the master bedroom is en suite). The main bathrooms have baths and showers. The modern kitchens have dishwashers, washing machines/dryers, ovens, microwaves and full-size fridge/freezers. Every apartment has free wireless broadband internet access, an LCD flat-screen TV with Freeview digital channels and a DVD player. In a quiet, leafy side street, a mile (1.6 km) from the city centre, this family-run, 4-star guest accommodation offers free parking and home-cooked breakfasts. Just south of Edinburgh's city centre, Ashdene House is within walking distance of many of the main tourist attractions, shops and the university. There is a bus stop just 2 minutes' walk away, with buses taking just 10 minutes to reach the city centre. Edinburgh Waverley Railway Station is 1.5 miles (2.5 km) away. A Gold Award winner for Environmental Awareness in Business, all of the en suite rooms are centrally heated and have hairdryers, TVs, telephones and tea/coffee. Wi-Fi is available at an additional cost. A freshly prepared breakfast is served in the conservatory. Ashdene House has been owned and managed by the Daulby family for many years. The family pride themselves on offering high-quality service and comfort. These 4 chic and unique apartments are within a redeveloped, Listed historic town house. 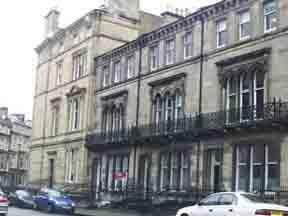 The sophisticated accommodation is very close to George Street with its designer bars and shops. The boutique-style furniture and decor have contemporary and traditional designs. Each comfortable apartment has a fully equipped kitchen, a flat-screen TV, free wireless internet, a limestone bathrooms and luxurious soft furnishings. 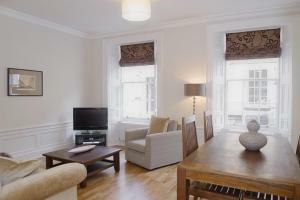 The West End of Edinburgh is only a few minutes' walk, and Waverley Station is a 15-minute walk away. Young Street Boutique Apartments are a 5-minute walk from a drop-off point of the shuttle bus that services Edinburgh International Airport. Established in 1924, The Edinburgh Thistle Hotel is located in the prestigious, quiet and residential West End area of the city centre. Close by is Edinburgh Castle, St. Mary's Cathedral, the Edinburgh International Conference Centre (EICC) and of course the renowned Princes Street with its vast array of stylish shops and stores. Having been a Georgian Town House and retaining most of its original period features, our hotel comprises 10 comfortable, elegant and spacious En-Suite rooms. The 5-star Alba Executive Apartments offer superb accommodation choices that vary in style and size, but not in quality. These apartments from Alba are all located in one development in the Grange area of Edinburgh, a 20-minute walk from the city centre. Each Alba apartment offers free private parking, free internet access, large LCD TVs and fully equipped kitchens with dining areas. In the heart of Edinburgh's Grassmarket, the Apex International Hotel has striking views of Edinburgh Castle and provides an excellent base from which to explore Edinburgh city centre. This 4-star contemporary hotel boasts luxurious leisure facilities, including a sauna, pool and gym. The Japanese-inspired leisure facilities feature fitness equipment from Technogym, as well as an ozone pool. Awarded 2 AA rosettes, Heights Restaurant on the rooftop serves imaginative fine cuisine, with the stunning backdrop of Edinburgh Castle. Metro Bar and Brasserie offers informal dining, overlooking the famous Grassmarket. All rooms are luxuriously furnished, with a widescreen TV, CD player and DVD player, luxury toiletries and a power shower. There is also free Wi-Fi internet access and 24-hour room service. The Apex International is centrally located in Edinburgh's Old Town, within walking distance of the Royal Mile and Lothian Road and 5 minutes' drive from Waverley Station. Number Ten is a city-centre Georgian town house offering individual, stylish suites. 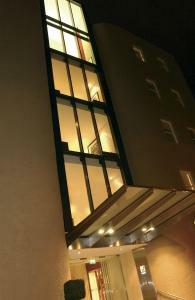 Located in an exclusive residential area, you will find elegance, comfort and excellent service. Some rooms have floor-to-ceiling windows, and other rooms are smaller and more intimate, yet stylish and functional. You will be received as a guest in a private home and looked after by courteous and well-trained staff. Many suites have a jacuzzi baths, some of which are designed for 2 people. The protected Grade One building has no lift, but helpful staff will bring your luggage to your room. In Edinburgh city centre, this stylish and modern development of non-smoking luxury apartments has many restaurants, cafes and attractions nearby. All of the Edinburgh Playhouse Apartments have fully furnished bedrooms, including wardrobes, bed linen and toiletries. 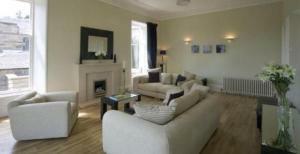 The living rooms have comfortable sofas and dining tables and chairs. Each has a flat-screen TV with Freeview channels and a DVD player. These modern-style apartments have a fully fitted kitchen. Just 5 minutes from Edinburgh Waverley Rail Station, the apartments are easily accessible, with free car parking available on site. Behind the facade of an old church you will find the clean contemporary lines of the Glasshouse - Edinburgh's hip, boutique, luxury hotel. An oasis in the city, the hotel boasts the only rooftop garden in Edinburgh offering unparalleled views - the perfect place for an aperitif. Award-winning bedrooms await with crisp Egyptian cotton linen for you to sink into. 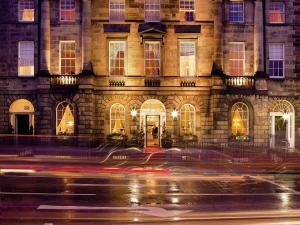 Superbly located in the heart of Edinburgh, the hotel is 5 minutes from Princes Street, North Bridge and Harvey Nichols. Edinburgh Waverley mainline station is only 5 minutes by taxi, and Edinburgh International Airport is 10 km away, about 20 minutes' drive. Boasting a privileged position on the corner of the Royal Mile and just a 2-minute walk away from Princes Street, this hotel provides easy access to all the history and culture Edinburgh has to offer. Originally built in 1923 as a grand Bank, the building has been extensively renovated to provide a luxurious hotel, whilst still retaining many of its original features. The Bank Hotel also underwent further refurbishment in February 2008. The Bank Bar, timeless in design with glorious wood panelling and a cool relaxed atmosphere, offers a wide range of drinks and an extensive daily food menu. Popular with locals and tourists and having an outdoor seating area on The Royal Mile, The Bank Bar ensures that you absorb the buzz of this historical city and you won't want to leave! This detached stone-built Victorian house offers charming and comfortable accommodation in a convenient location with good access to the city centre, as well as free private parking for 6 cars. Aynetree Guest House is well located for visiting all of Edinburgh's attractions, including Arthur's Seat and the Palace of Holyrood, the guest house is nevertheless peaceful, quiet and relaxing, overlooking parkland with views of the Firth of Forth. Edinburgh's excellent public bus service offers quick, easy and convenient access to all parts of the city, and there is a direct bus to the city centre from the bus stop right outside the house. There are 5 fully equipped en suite bedrooms and 1 double bedroom which has a spacious private bathroom. Each comfortable room is decorated and furnished to a high standard. Superbly located on Princes Street, in the heart of Edinburgh, Ramada Edinburgh Mount Royal overlooks historic Edinburgh Castle and is just a 2 minute walk to Waverley Train Station. Each contemporary room has an en suite bathroom and flat-screen satellite TV. 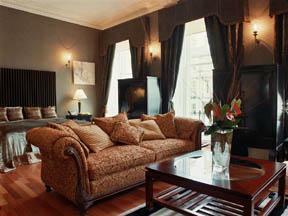 Some of the rooms have striking views of Edinburgh Castle and Princes Street Gardens. After a busy day in the city, guests may unwind with a drink in The Princes Bar or relax over a meal in The Princes Dining Rooms, with stunning views of the city. Princes Mall and Harvey Nichols are nearby and The Royal Mile with its lively bars, restaurants and theatres is a short walk away. This recently refurbished Georgian town house is situated in the city centre of Edinburgh, and offers friendly, relaxed guest house accommodation for a comfortable stay. Offering a variety of room types, the majority of which have en suite facilities, the York House Hotel is just 5 minutes' walk from the east end of Princes Street and a minutes walk from the bus station. The area is rich in history and has many excellent cafes, bars, restaurants, and shops. 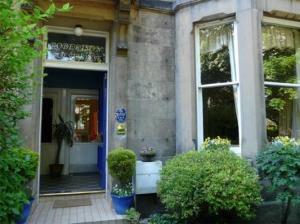 Waverley Train station is a 10 minute walk and Edinburgh Playhouse is a 3 minute walk away. 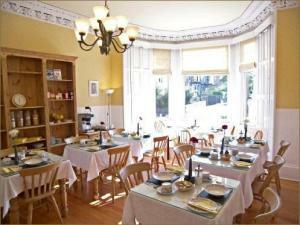 The hotel is convenient for visiting the Castle, Holyrood Palace and museums and art galleries.